What is it like to study business administration? Studying business administration is the first step to take if you dream of a career in the industry. While you can gain relevant skills on-the-job, combining work experience with study can be an effective way to upskill yourself, especially if you want a promotion at work, or simply desire the challenge to balance both worlds. 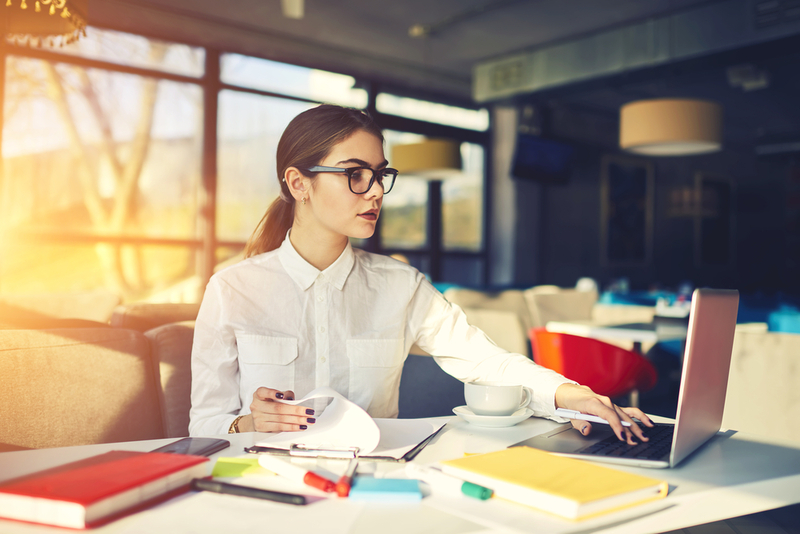 Business administration is a field where you can build and develop a diverse skill set, particularly in computer and customer service skills. What business administration courses are available at Upskilled? Diploma of Business Administration (BSB50415): This course is ideally for those who already have a few years of business or business administration work experience under their belt. The diploma can be completed within 12 months and it is aimed at those wanting a comprehensive course that will help them advance their skills in clerical and administrative work within an office setting. Certificate IV in Business Administration (BSB40515): The Certificate IV is a great qualification for those who have completed Year 12 or a Certificate II or III in a similar discipline. This course can be completed within 12 months and prepares individuals to gain core skills in popular office programs, particularly in work health safety and risk management. Certificate III in Business Administration (BSB30415): This course is aimed at individuals wanting to gain a qualification that will help them stand out from the industry’s competition. It can be completed within 12 months and provides an opportunity to prepare students for support roles within the industry, or simply need to boost their resume with a nationally-recognised qualification. If you’re after a career change, or simply want to find your feet in the business world, studying business administration with Upskilled can provide you with the opportunity to tap into junior roles such as Administrative Assistant or senior-level jobs such as Office Manager. Skillstalk get to know Upskilled’s alumni students Lisa-Marie Baker and Jayden Tilley who have studied business administration and learn more about the rewarding aspects of their courses. Lisa-Marie studied a Diploma of Business Administration (BSB50415) and despite quickly getting through her course with flying colours, she still had the support of trainer Keith Mogford. Keith has an extensive background in business and some of the qualifications he has attained include Diploma of Project Management (BSB51415) and Diploma of Leadership and Management (BSB51918). Despite the time difference, Lisa-Marie was impressed that Keith was available on the phone when she needed to address her concerns during the course. Due to his personable approach, she felt like he knew exactly what goals she wanted to achieve after the course and respected the encouragement and motivation she received from him. Jayden studied a Certificate III in Business Administration (BSB30415). Initially, she was hesitant about online learning because it was a different experience from classroom learning and she thought that she would lose the one-on-one contact with her trainer. Despite her initial concerns, she felt at ease when her trainer went above and beyond throughout her course. Jayden described her trainer as “lovely, relaxed, approachable” and managed to form a great working relationship with them since they were readily available via phone or email. “You are allocated a trainer to keep you on track and assist you with any bumps you encounter along the way,” she explained. Jayden fell pregnant during her course, so for her to complete the Certificate III gave her ample time to get through the course quickly when she had a little one on the way. Due to the flexibility of online learning, she was able to set her own deadlines and prioritise her assessments according to her schedule. Since she was juggling full-time work with study, this technique worked for her due to the self-paced and flexible nature of her course. She said that she loved “the flexibility of the courses and how convenient it was to be able to study from home, work, overseas, etc”. Understandably, circumstances in life can change at any time and Lisa-Marie was battling some health issues during her course. Since she was 14, she experienced some minor strokes and throughout the years has been managing neurological issues and was eventually diagnosed with Functional neurological disorder. In the middle of her diploma, her health issues became difficult to manage, so she had to put a pause to her studies until she was well-enough to continue. With Upskilled’s approach to flexible online learning, Lisa-Marie was able to return to her studies, taking only 11 months to complete the course (standard Upskilled courses take 12 months to complete). Despite her health challenges, she was still able to complete the diploma in an accelerated pace and describes online learning as “refreshing, easy and suitable”. Despite managing some health issues, Lisa-Marie was very determined to complete the Diploma of Business Administration (BSB50415). She took time off for five years to raise her children and while she sacrificed time, studying the diploma allowed her to feel that her skills were relevant enough to return to work with ease. Lisa-Marie has also mentioned that Upskilled has been a tool in her life to satisfy the requirements needed for future employment opportunities, giving her the boost of skills needed to make her a standout candidate. While Jayden has no specific short or long-term goals in mind regarding her professional life, she was determined that the Certificate III in Business Administration (BSB30415) will allow her to return to work in full force as she describes it as a “respectable qualification to have”. Priorities change as you grow older and of course, Jayden had the desire to take time off work and focus on raising her family instead. Attaining this qualification has allowed Jayden to worry less about future work opportunities because she knows that the skills she’s gained from it will still be relevant for full-time or part-time positions in business administration. Since completing the Certificate III, Jayden found that it further developed her current skills in computer and customer service as a professional. Having excellent customer service and computer skills are not only transferable in any business administration role, but it could also help Jayden if she were to change careers. According to Sydney Morning Herald, having a mix of transferable and technical skills are looked favourably upon by employers and it’s not just a matter of hiring someone who is the most skilled for the role. Ready to kick off your career in business administration? If you want to chase your business administration dreams like Jayden and Lisa-Marie, Upskilled’s business admin courses will help you be qualified in no time. With highly-skilled and experienced trainers and the flexibility of online learning, the courses will help you prepare for junior, mid-level and senior job roles and boost your confidence in developing transferable skills. For further industry insights on the future direction of business administration and its current trends, download the FREE ebook ‘Careers in Business Administration’ and learn about the exciting career opportunities it has in store for you.